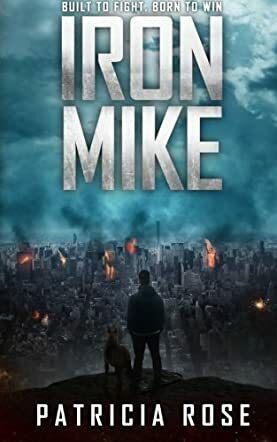 Iron Mike is a dystopian science fiction novel written by Patricia Rose. Mike Sanderlin loved hunting with his dad and playing battle quest games on his computer, and his biggest problems in life were things like having to cancel a role-playing game to take his little sister, Jenn, to the hairdresser’s -- that was, until he heard a sonic boom and watched horrified as his mother dropped dead in front of him. And she wasn’t the only one. The Emergency Broadcast blaring from the television confirmed his worst fears as it broke the news of an international disaster. Mike knew what he had to do. He quickly got camping gear together and had Jenn pack her Barbies and some clothes. They’d go to their grandparents’ house -- Gran would know what to do. He left a message for his dad in case he ever got home (as the phone had no dial tone and he had no way to reach him) and the two of them went off in his mom’s big Suburban. When Mike and Jenn got there, however, Gran was crying and holding their grandfather’s head in her lap. Patricia Rose’s post-apocalyptic coming of age science fiction novel, Iron Mike, is fast-paced, exciting, and thought-provoking. Mike Sanderlin and Kari Kasoniak are marvelous main characters who find their lives and abilities challenged in ways they never dreamed of after the alien attack on Earth. There’s an interesting philosophical premise that runs through this absorbing dystopian thriller about sentience and just how developed Earth’s human species is, and the means by which the alien Scientist-Farmer determines if the current project is justifiable are profound and telling. Rose’s vision is grim and dark at times, but her heroes grow stronger, more self-reliant and competent with each challenge they face. This is a well-written and absorbing story that will prove to be a pleasant surprise for readers who have grown somewhat weary of the ubiquitous zombie and plague apocalypse tales so prevalent in recent years. Iron Mike has a poignant coming of age element, an unforgettable canine hero, and an entirely original and sometimes terrifying vision of extraterrestrial life. It’s an impressive debut novel that is highly recommended.